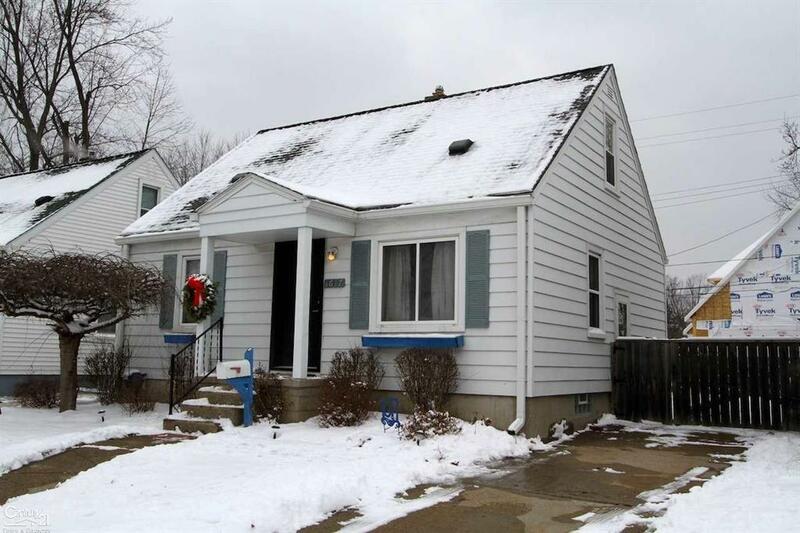 Three-bedroom bungalow features hardwood floors in the living room, hall and two bedrooms. Wet plaster walls and coved ceilings. The updated kitchen includes the stove, refrigerator, dishwasher, microwave and double s/s sink with disposal. The bedroom upstairs features carpet and a walk-in closet. Replacement vinyl windows. Finished basement with a full bath and the washer and dryer included. Private backyard with wood privacy fencing and a wood shed.